This facial treatment will leave your skin feeling lifted, radiant and rejuvenated with our new and advanced anti-aging complex. We will be using a all organic Fibrous Stonecrop Gel Mask which is great for all skin types, especially pigmented skins with blemishes such as scars, photo damage, freckles, moles, warts and sunburnt skin. This mask will smooth and regenerate your skin to make it lighter, calmer and firmer. Includes surface cleansing according to skin type, exfoliating, face massage and mask. The Skin Refreshing Facial is suitable for quick energizing and relaxing of the skin and can even be done every week. The Deep Cleansing Facial is good for all skin types, especially for problematic skins. This Facial assist with clearing the skin of impurities and help to restore balance back to the skin. The combination of herbs such as rosehip, rose petal, and stonecrop calm and reduce inflammation. Lemon and stonecrop help to even out color tone while plant estrogens balance the skin. 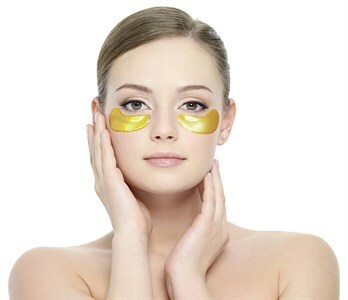 Add on the Eye repair treatment to any Facial Treatment. This treatment is good for all skin types especially loose, wrinkled, premature and mature skin types. The effects reduce the appearance of fine lines and wrinkles. Teen facial is great for all skin types, especially for teens with unbalanced skin, such as oily and acne prone. This facial will leave your skin feeling balanced, hydrated and, clarified. We will cleanse, exfoliate, massage, extract, and use mask for this facial. Extractions will remove blackheads and acne for a smoother and clearer skin complexion. This facial follows the same steps as a traditional facial. The back is first cleansed and exfoliated deeply. The second step removes impurities and imperfection from beneath the skins surface. Then a mask is applied. The final step involves moisturizing the back to hydrate and restore nutrients. This will include a back, neck and shoulder massage to really make you feel relaxed and reenergized. It is a way of exfoliating an area that you cannot get to on your own. Both men and women enjoy back facial to combat acne. A back facial is good even if you do not suffer from back acne, it will exfoliate the dead skin and deep moisturize. It is a great idea before a special event where you will be showing your back in a strapless dress or just before the start of bathing suit season. Add on the Lip Treatment to any Facial or Body Treatment. This Treatment is good for all skin types. The effects hydrate, soften and repair lips that may be dry and chapped. 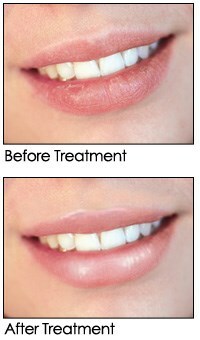 This treatment will also provide a temporary plumping effect and naturally tint the lips.